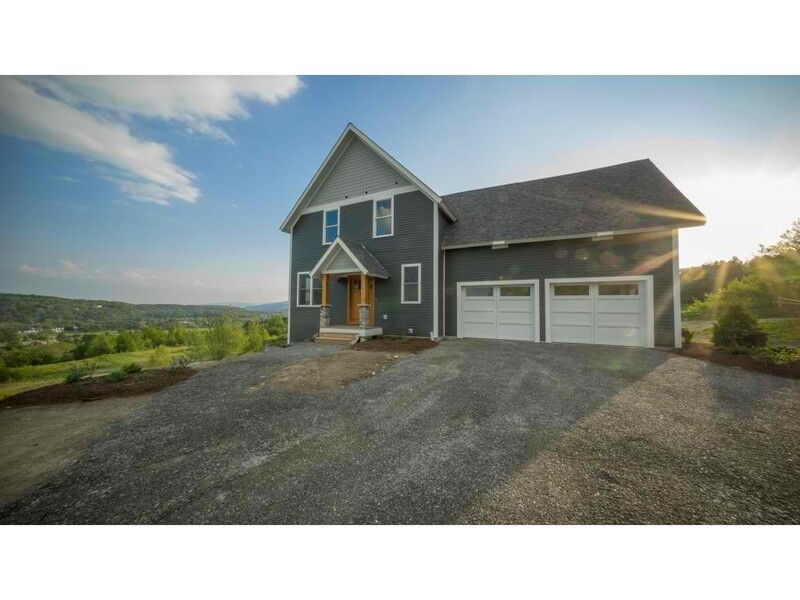 JUST COMPLETED gorgeous mountain home in the heart of Vermont with all the finishing touches. Step into a real mudroom with built-in shelves. The wonderful kitchen with maple cabinets, granite counters, and gas cooktop lays out to an open floor plan that gives plenty of options for entertaining. Enjoy dining outside or get lost in the view from your covered porch. Relax and watch the sun set on the town from your stone patio. Warm up in the ski season by the living room fireplace or go upstairs and unwind in your whirlpool master bath. First floor office space to work from home. Walk-out basement waiting for finishing or a great storage space! On Sunday, you can enjoy the Stowe’s Farmers Market, a run on the rec path or a round of golf at the Stowe Country Club. Just minutes from Stowe Mountain Resort and the best views of the Stowe Balloon Festival. Rent the property when you’re not there to offset the costs of ownership! Owner is a licensed Realtor. Directions: From I-89 S take exit 10 to Waterbury. Turn left on VT-100 N, the left on to VT-108 N. After 10 miles, turn right onto Weeks Hill Road, turn left onto Cape Cod Road, and then left onto Sinclair Drive. House will be on the right.